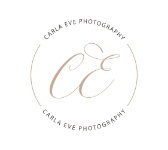 Thank you so much for visiting Carla Eve Photography, a full service studio located in Downtown Lenoir, North Carolina. At Carla Eve Photography, I have a wonderful, and large selection of BEAUTIFUL outfits for children up to 4t in girls, and 2t in boys. My goal to you is to deliver timeless images of your children that you will adore. From newborn, sitter, to toddlers, I am sure to have something to fit your taste for your little ones. I also have an amazing selection of maternity gowns for expecting mothers to pick from for maternity sessions. I offer, new life hospital sessions, newborn, maternity, children and sibling sessions from sitter and up, cake smash, family, senior, engagement, bridal, and weddings. All of my product packages and session pricing information is available on my site for simplicity. If you have any questions, or would like to book a session, please fill out a contact form and I will call you personally to answer any questions you may have.